High-strength thickened 2 part epoxy adhesive that cures to a dark brown, wood-colored finish, perfect for wooden boat filleting, and stitch and glue bonding. Included mixing tips ensure perfect resin to hardener ratio. 185 ML cartridge fits all standard caulk guns. 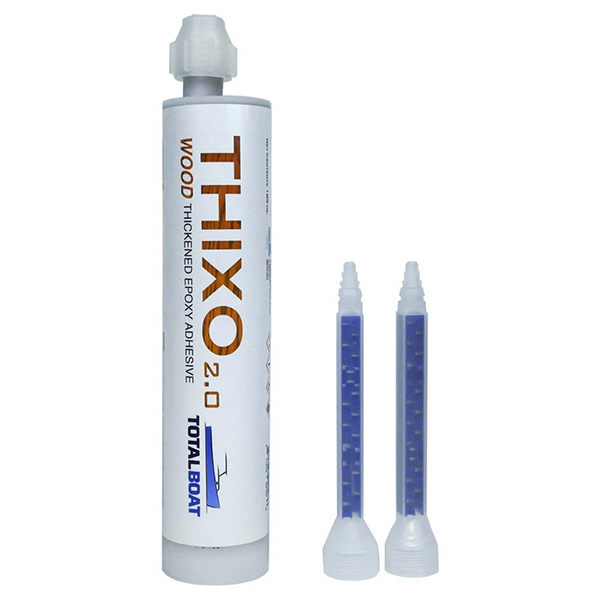 Thixo Wood cartridges fit all standard caulk guns. For best results, use an 8:1 ratio caulk gun due to product thickness. Extra mixing tips are sold separately. Thixo Wood 2.0 wood-colored thickened epoxy adhesive has a rich, dark brown finish that blends well with many different woods. 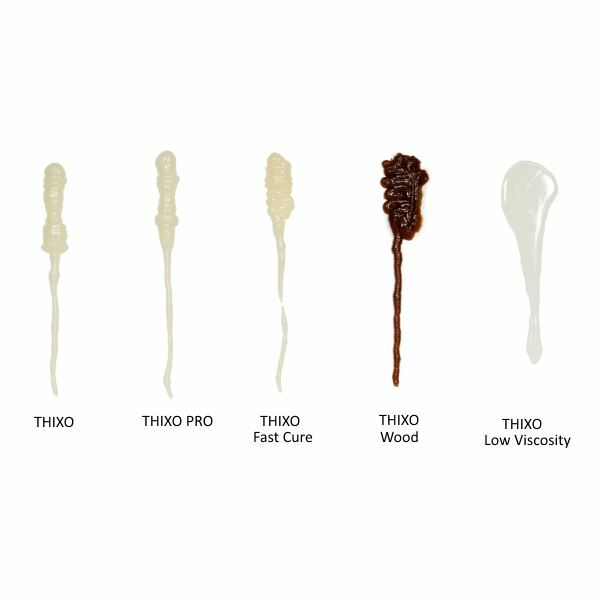 While it was originally a special request by wooden boat builders and restoration experts, Thixo Wood 2.0 is excellent for nearly invisible repairs wherever gluing wood or filling gaps is required. From fixing damaged hatch boards to fine furniture repair, it’s found a wide range of uses beyond boat building. We’ve also improved the formula so it’s now even easier to dispense from a standard caulk gun—especially in cooler conditions.